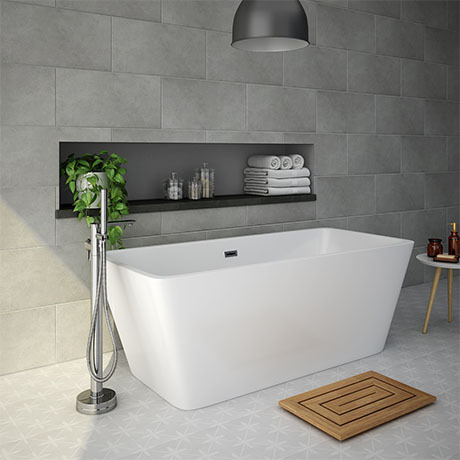 This luxury modern double ended square free-standing bath is part of our our bath collection containing some of the most desirable bath designs available today. Features a stylish thin edge with a integrated chrome finish overflow and click clack waste. If you want to make a statement with your bath design, then choose from our luxury collection. Made with quality white gloss smooth acrylic. This bath has been designed for use with wall mounted or floor mounted freestanding taps. Best price around for amazing style.